Trained your hamstring with some super exercises and build strong muscular hamstring.Check some workout for hamstring and take your hamstring workout on next level. 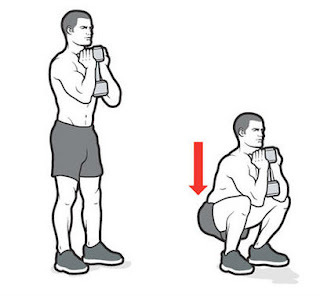 Best exercise for trained your hamstring,this exercise is ideal for pro-athletes and for beginners.Main thing is goblet squat is easy to perform even for those people who suffer from knee and back pain,shoulder injury etc.This movement is good for increase body strength,shape your hamstrings and improve your balance. This exercise build very strong hamstring with perfect shape and also build strong back.You can do this exercise on the floor without GHR (Glute Ham Raise Machine) with chest road loaded with heavy weight.This movement target your hamstrings and it increase neuro muscular activation more than other workouts.If you are new take help of your trainer or partner for support. 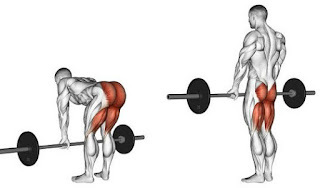 Great exercise for trained your hamstrings and also very good for back.Stiff legged deadlift increase strength,develop hamstrings and best for fuel lower body workout. 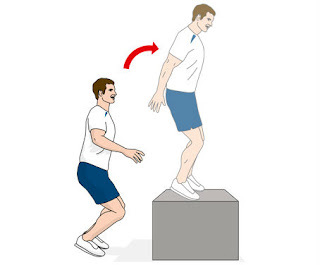 Front box jump increase your body strength and build powerful,strong hamstrings.This exercise also very effective for calves,glutes,quads and abductors.People who want leaner and stronger body,front box jump is the best option.